As such, they are generally believed to be the result of pairing with other stars – specifically, millisecond radio pulsars (MSPs). These are a distinct population of neutron stars that have fast spin periods and magnetic fields that are several orders of magnitude weaker than that of “normal” pulsars. These properties are thought to be the result of mass transfer with a companion star. 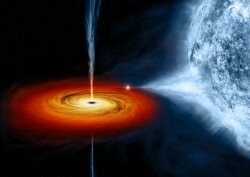 For the sake of their study, which appeared recently in The Astrophysical Journal – titled “An Eccentric Binary Millisecond Pulsar with a Helium White Dwarf Companion in the Galactic Field” – the team relied on newly obtained optical photometry of the system provided by the Sloan Digital Sky Survey (SDSS), and spectroscopy from the Very Large Telescope from the Paranal Observatory in Chile. From this, they were able to infer the temperature (8600 ± 190 K) and velocity ( km/s) of the white dwarf companion in the binary star system. 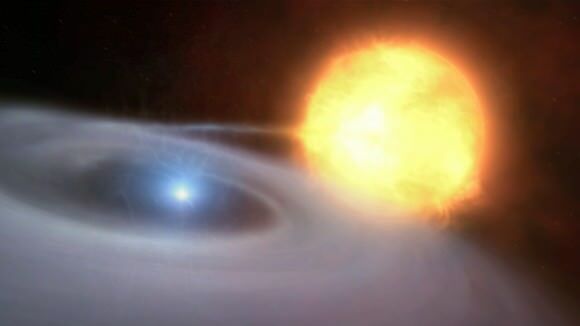 Combined with constraints placed on the two body’s masses – 0.28 Solar Masses for the white dwarf and 1.4 for the pulsar – as well as their radii and surface gravity, they then tested three possible explanations for how this system came to be. Second, they considered the possibility – consistent with current models of stellar evolution – that LMWDs within a certain mass range have strong stellar winds when they are very young (due to unstable hydrogen fusion). 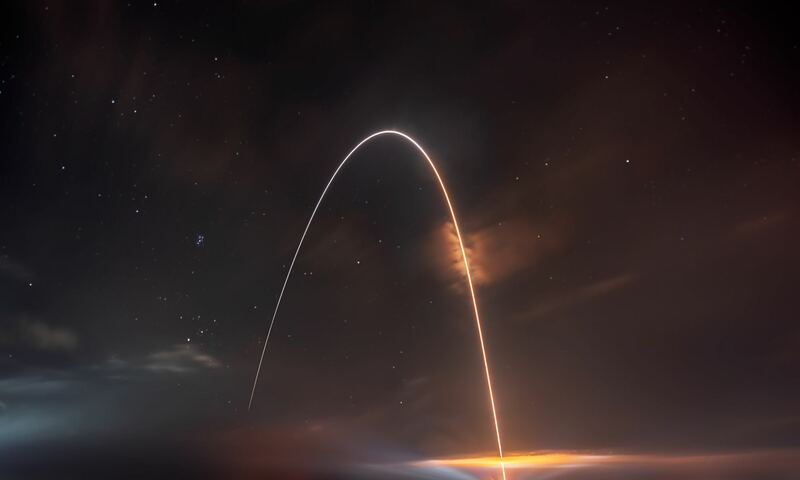 The team therefore looked at whether or not these strong stellar winds could have been what disrupted the orbit of the pulsar earlier in the system’s history. Last, they considered the possibility that some of the material released from the white dwarf in the past (due to this same stellar wind) could have formed a short-lived circumbinary disk. This disk would then act like a third body, disturbing the system and increasing the eccentricity of the white dwarf’s orbit. In the end, they deemed that the first two scenarios were unlikely, since the mass inferred for the pulsar progenitor was not consistent with either model. But that’s fine. They’re so rare it’s not worth worrying about.